After making the monumental decision to give your girl a promise ring, you must think of the perfect scenario to present it to her. It has to be special, yet, it can’t be misunderstood to mean one thing when it means another. For example, you don’t want to give a promise ring and have her think you’re proposing when you’re not. That’ll set her up for disappointment. This is a special moment, and it has to be perfect. That’s why we’re here to help! This isn’t the presentation of an engagement ring, so it shouldn’t be treated as such. Don’t hire skywriters or take out a billboard advertisement to declare your intention to propose one day. 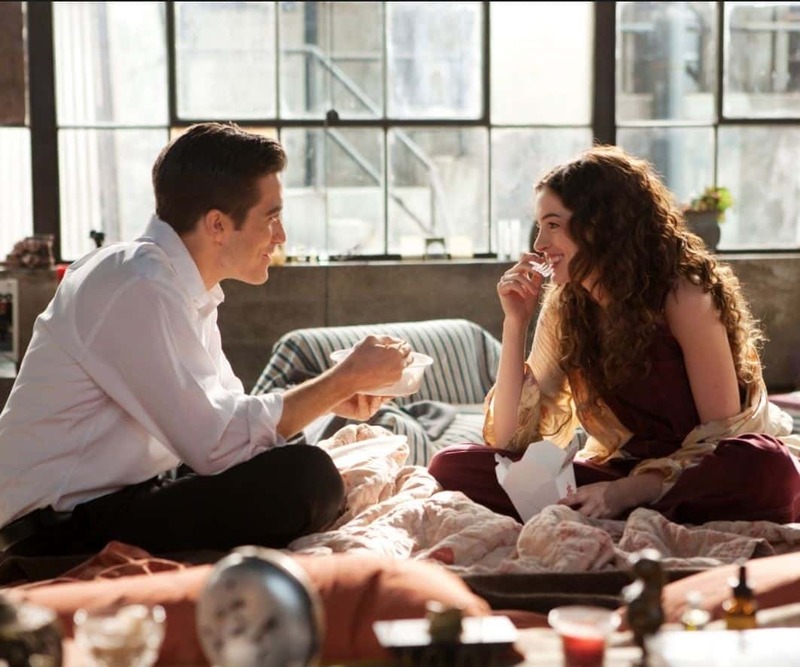 Low-key moments can be incredibly special without being over-the-top. You have to be super careful to ensure she knows exactly what’s happening and the purpose of the ring. 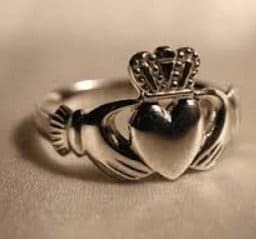 After you choose the ring, whether that’s a posy, claddagh, or simple ring with diamond chips, it’s time to think about when you’d like to present the ring. Ideally, you’ll want it to be a special occasion. That special occasion will vary depending on what’s coming up soon, of course. You don’t want to buy the ring in June and wait until Christmas to present it. Choose a holiday like Valentine’s Day or an anniversary of the day you met. Whatever day you choose, it should be special and significant for the two of you. Along with the day, the location is important for presenting the ring. It could be where you had your first date, or where you first met her. If you spend every Sunday at a special breakfast cafe, that might be a good choice. You could have them present the ring inside of her breakfast scone if they’re willing. The location and the day of the presentation are just two of the details that you’ll have to worry yourself over. You could just hand her the box, but this is a special moment where you’re declaring your devotion with jewelry. It should be more interesting. You could hide the ring like mentioned above, or you could create an elaborate scavenger hunt for her. The presentation might be done simply after a day of her favorite activities. However you present the ring, it should be a day she’ll remember forever. 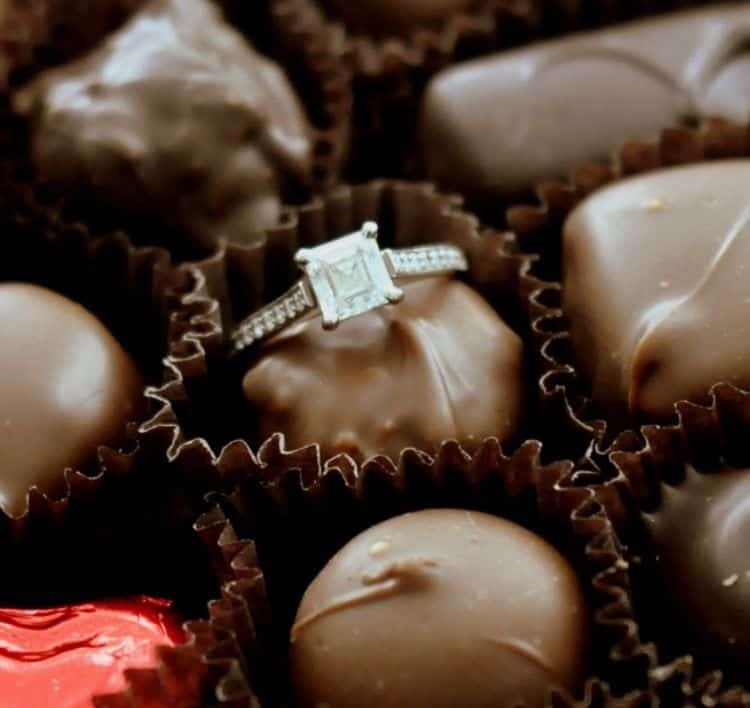 Inside a Chocolate Box – Remove one of the chocolates and replace with the ring. On the Dessert Tray – At the restaurant, have the staff bring it out with the dessert tray. A Floating Candle with the Ring – Run her a bath and present the ring on a floating candle. Inside a Book – Carve out part of the book, or have it dangling from a bookmark. In a Rose Bud – A single rose bud will open over time. Place the ring inside so when it blooms, the ring will be exposed. Wrapped in a Box – Present the ring in a wrapped gift box. Hide the Ring – Choose a location where she’ll find it when you’re nearby to make your speech. The reason for the ring should be part of your declaration or promise. If you promise to commit to her with marriage one day, that should be part of the declaration. You might be celebrating the bond you already have with no plans to marry. 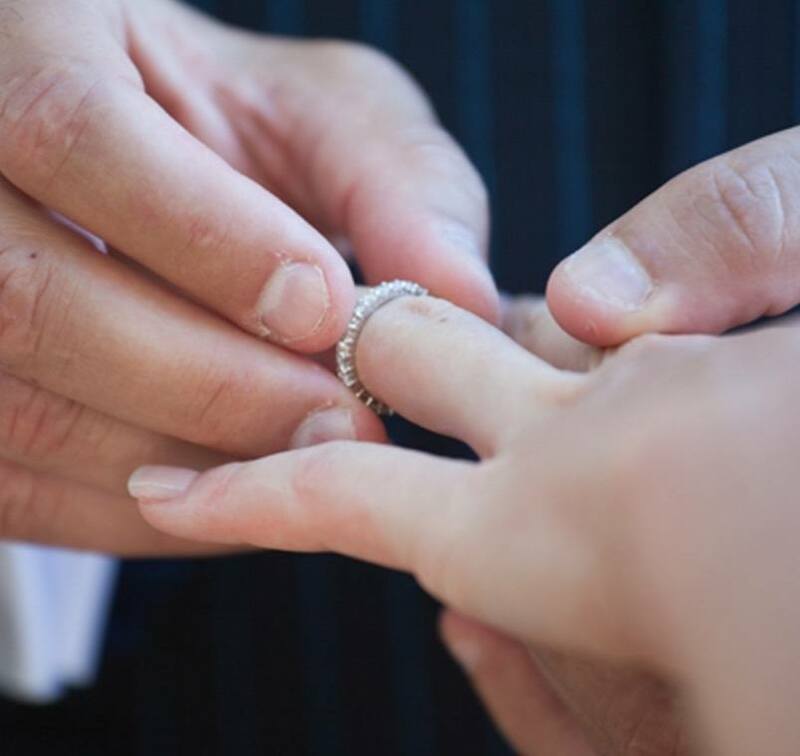 While you don’t need to bluntly say you won’t marry her, but if you’ve mutually decided marriage isn’t right for you, a promise ring means something different to you as a couple. Make sure that what you say fits with your relationship. 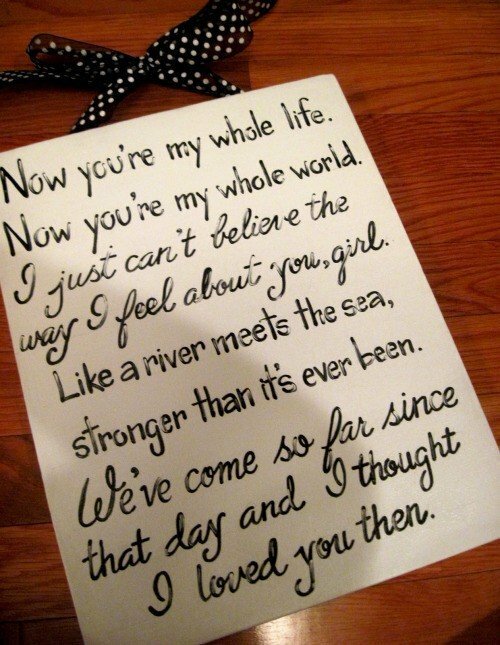 You might want to include lyrics from your song as a couple. Your own heartfelt vows of love and fidelity might feel more romantic, too. On the other hand, you might want the ring to speak for you. A small note or card might work better in case you get nervous. You might broach the idea of the ring, but decide to purchase it together. You can still present it to her under special circumstances. It might be a personal ceremony of your own that gives it meaning like sitting on your favorite bench at the park with a picnic and champagne. If you’re exchanging promise rings, you’ll still want to pick a place that’s significant to you both. Make it an incredibly special occasion in a romantic spot. Wrapping the ring in a gift box might not make sense since she’ll know what it is, but you can add in your own special vows and heartfelt thoughts in a note or said out loud. Presenting her with a promise ring is a momentous occasion and marks a relationship heading to another level. Each step in the process should hold significance for the two of you. Try to eliminate those nervous butterflies by planning each step, but don’t be afraid to change the day if something goes wrong. You want it to be incredibly meaningful and something she’ll remember forever.